What’s Your Real Estate Rock Anthem for 2013? Happy New Year Everyone. Are you as excited as I am to get moving again? Oh, and was that a collective sigh of relief when the kids all started school again? Yes, I think it was. Well, I wanted to kick off my first meeting of the year in style and if you know me then you know that it probably involves champagne. In the past, my early year meetings usually involve discussions of goal setting or market reviews and projections but this year I wanted to try something a little different. I got the idea while driving in my car over the holidays. 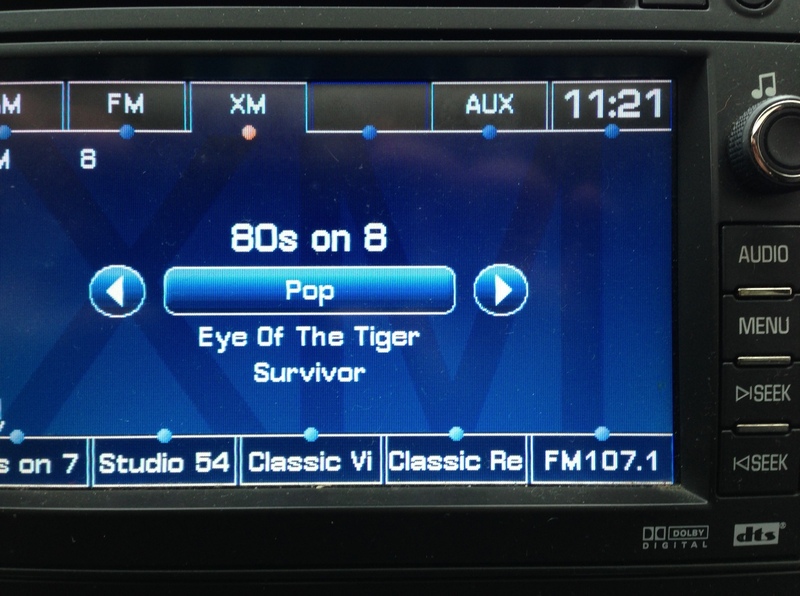 While surfing through the channels I came across a great hit from the 80’s….Eye of The Tiger. Do you remember that song? It was used in one of the Rocky movies. I thought to myself, this should be my theme song for the year. I downloaded it from itunes and put it in my regular running playlist. It occurred to me that you really can’t go wrong having a theme song and I wondered if this could be a good meeting topic. In the days leading up to my meeting I asked the agents to do one bit of homework. Find their 2013 theme song. Sound crazy? Crazy like a fox. Imagine you are sitting in your car. You are parked outside a house waiting to present your offer. You are one of three. What song would get your blood really flowing? Or maybe you are sitting on the dock at the cottage. It is a beautiful hot and sunny day. You are with all your best friends. What song would you love to hear? Or you are coming to the last 3oo metres of a ten Kilometre race. What would be the song that would give you the energy to explode across the finish line? These are your ANTHEMS. Well to make my meeting even more interesting, I spent a few evenings going through my own music library and choosing a real estate rock anthem for everyone in my office. Needless to say, the results were pretty interesting. Ok I may have missed a few, but generally my picks were pretty accurate. We had a packed house, I set up speakers and a docking station and we just kinda rocked out over the course of an hour. We heard sound clips from Guns and Roses, BTO, Van Halen, New Radicals, and the Beatles and just to prove that we are a diverse group I also played a little Edith Piaf and Sinatra. So what is the point of this exercise? Why is it important to find your REAL ESTATE ANTHEM? In Yoga it’s called your “chi” and it is basically the same thing as your energy or life force. I can’t think of anything wrong with having a song that can quickly change your mood, give you energy or inspire you. Think of it as a quick shot in the arm, a way of focusing your mind back to the task at hand….being a positive, happy and successful Realtor. So what is your REAL ESTATE ROCK ANTHEM?